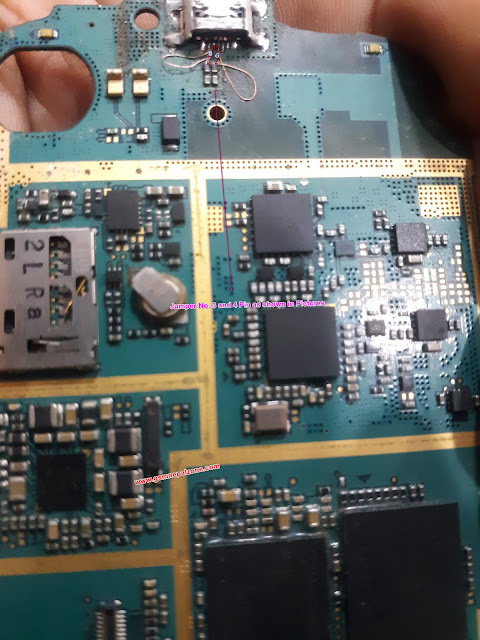 Home Error Fix Samsung GT- S7562/ S7582 Charging section ok but charge not show 100% working solution. Samsung GT- S7562/ S7582 Charging section ok but charge not show 100% working solution. Hello friends, on this post we are going to share common problems of samsung S7562/ S7582 i.e. charging section ok but charge not show. Sometimes we receive mobile phone from customer to repair Charging Issues. At first we check charging ways, charging Voltage then we change charging port/ pin. After changing charging port sometimes it doesnot show charging sign on mobile phone. This is happen due to break of connection from charging port to board. To fix such issues simply make jumper of No. 3 and 4 as shown on the given figure. After all your problem Solved. Note: we provide all kinds of tested solutions for free to help you in repairing field. If this post help you then like, sahre and comment us.